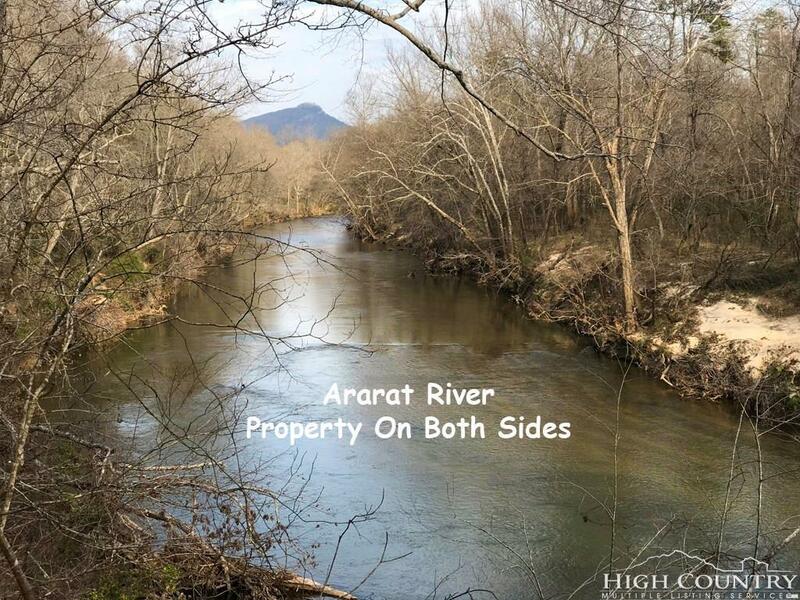 Property has over 6 miles of shoreline on Ararat River. 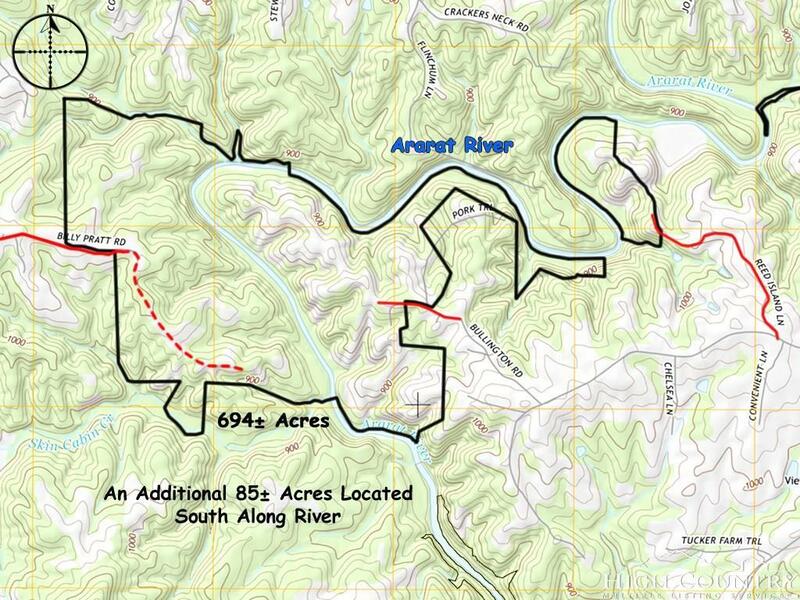 There are approximately 350 acres West of Ararat River at one location, and 300 acres East of the river. An additional 2 large tracts nearby of 80 and 50 acres, respectively. 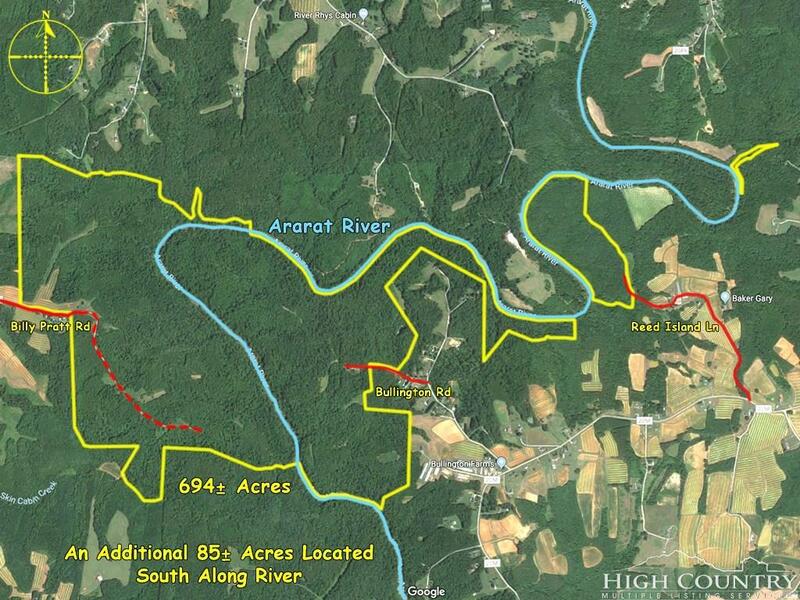 These 2 tracts are a portion of the whole 779acre property that is being offered. It might be possible to purchase the individual portions, so buyers are encouraged to call the listing agent for details. Most of the property is heavily wooded and there are miles of ATV trails making it possible to access different areas. This property is in the Present Use Value forestry program administered by the county tax office. Long and gentle ridges dominate the landscape. There are about 20 acres spread over different areas that include open fields, shooting lanes, and areas suitable for food plots if hunting is your activity of choice. Outdoor recreation, ATV trails, fishing, and horseback riding are some of the few activities that come to mind as potential uses. Located about 35-min drive from Winston-Salem, and about 55-min drive to the Greensboro PTI Airport. 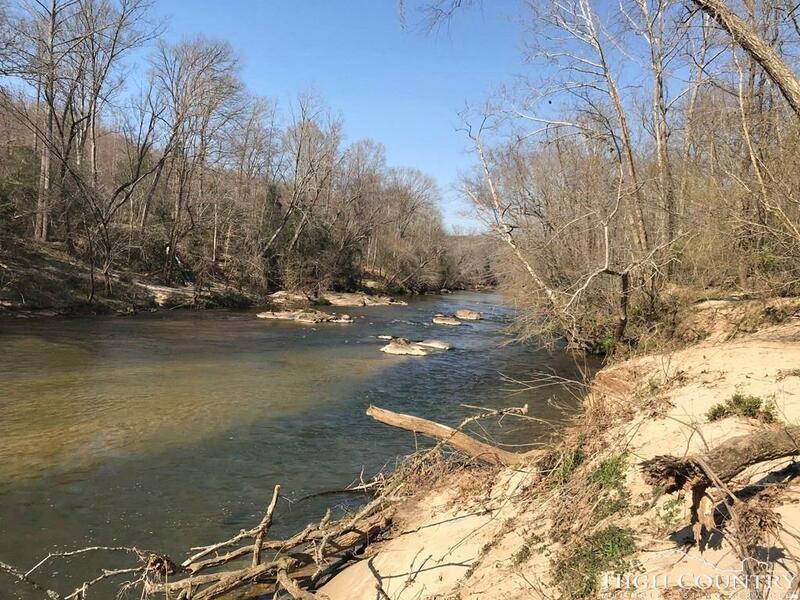 Enjoy canoeing or kayaking along the 1.5 miles of Ararat River that flow through the property.